It’s cute yet rugged and is seriously off-road capable. 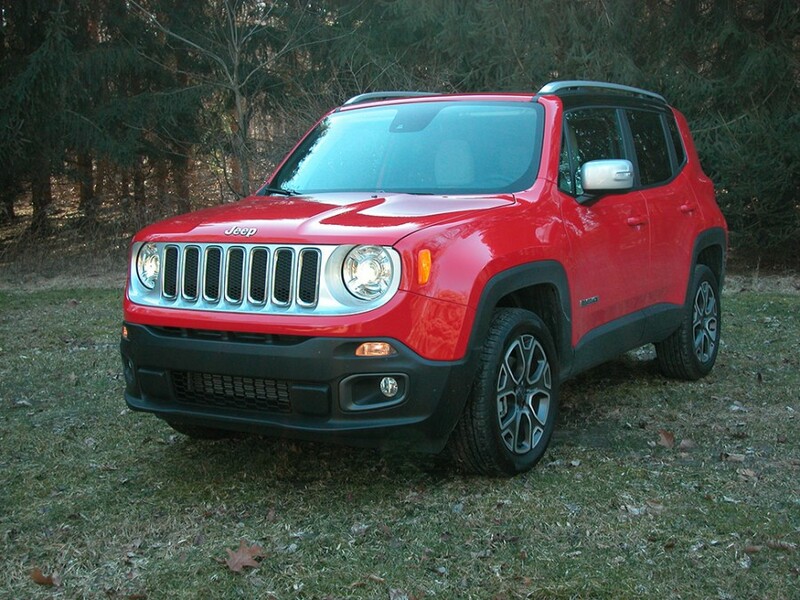 What we speak of is Jeep’s compact Renegade SUV. 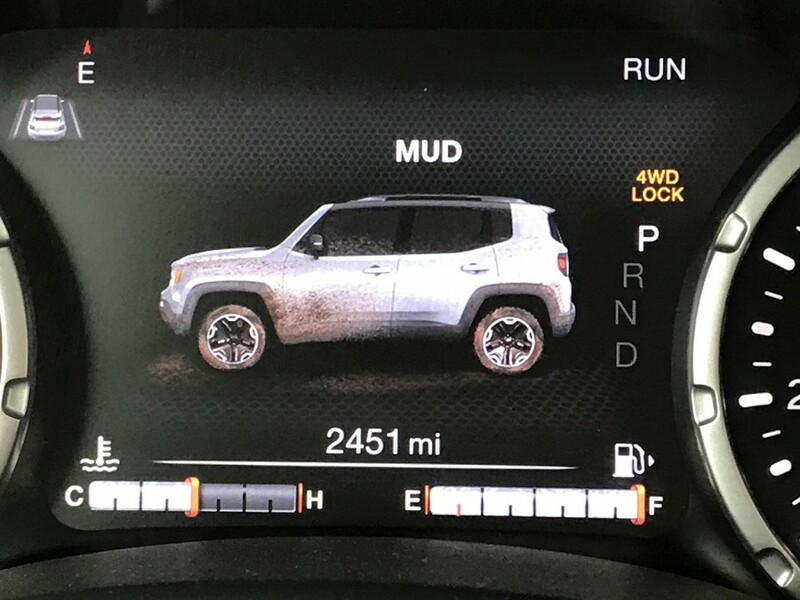 Its off-road chops come compliments of its proven Selec-Terrain 4WD system that offers five modes of Auto, Snow, Sand, Mud and Lock. Plus, Renegade has 8.0 inches of undercarriage clearance, an approach angle of 21 degrees, breakover angle of 24 degrees and departure angle of 32.1, all traits that allow this cute ute to traverse some tough terrain and in all weather conditions. Since their introduction in 2014 as a 2015 model, Renegade, Jeeps’ smallest SUV, has been a big seller. There are loads of them on the roads. Many of which are being driven by females. Renegade is assembled in Melfi, Italy and rides on the same platform as Fiat’s 500X AWD sub-compact crossover that is built there. But similarities end there as Renegade is its own breed. It inherited a number of exterior and interior symbols of Jeep’s heritage such as the “X” on the taillights that denote Jeep’s iconic army jerrycans. Same goes for the painted Willys WWII Jeep silhouettes on the wheels and bottom part of the windshield. 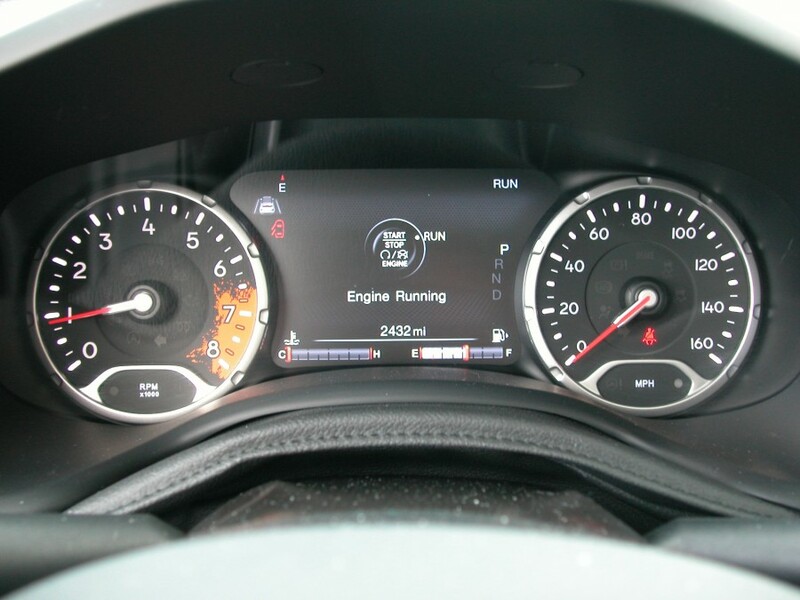 And the tachometer is decorated with a mud splash symbol, a tribute to its off-road competence. 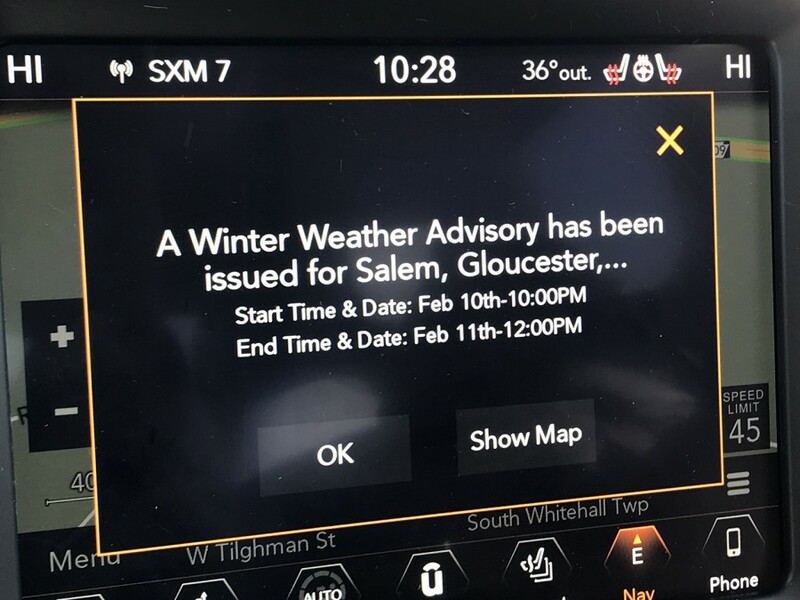 Offered in Sport, Latitude, Limited and rugged Trailhawk, we were privileged to test the posh Limited that came with white leather, heated front seats, heated steering wheel and large 8.4-inch touchscreen with voice control. 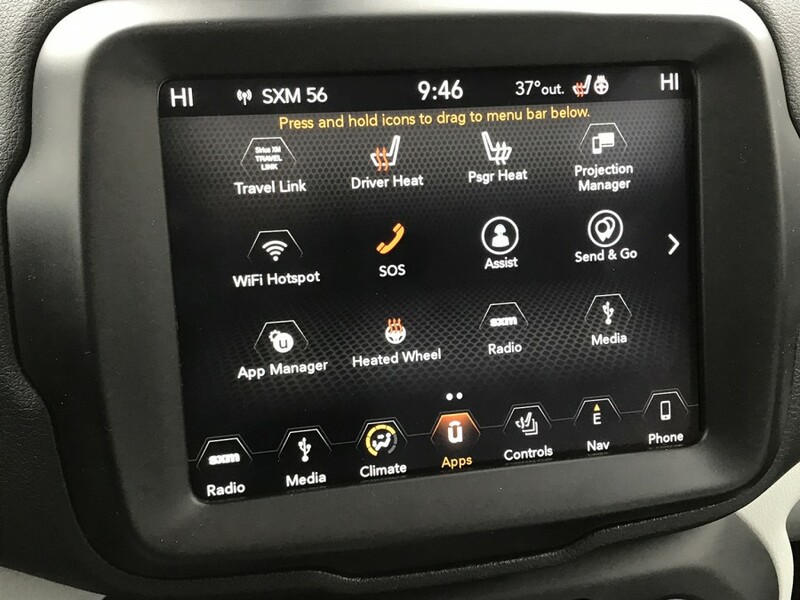 For 2019, Jeep added a host of goodies including Apple CarPlay/Android Auto connectivity and like most FCA vehicles, Wi-Fi hotspot capability. 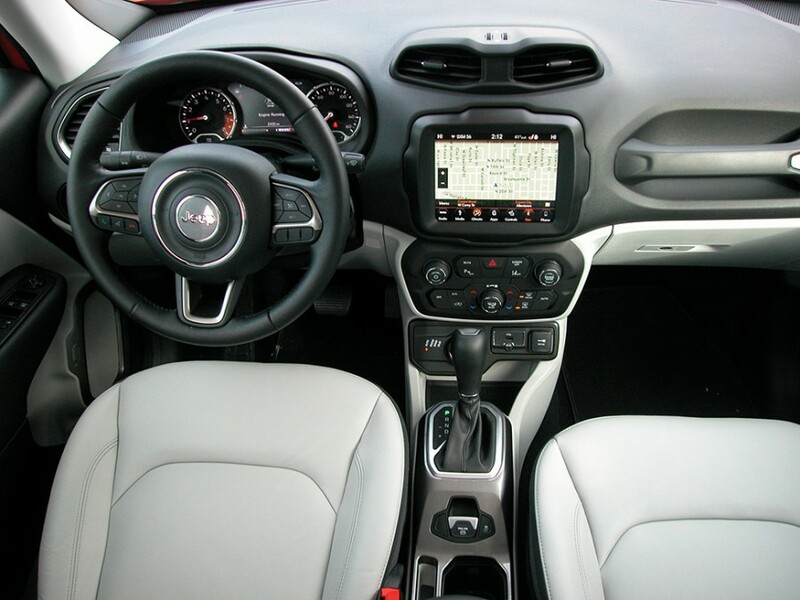 After a comfortable 20-inch step-in, its greenhouse spaciousness of the interior gives it an airy look and feel. Its HVAC controls are large and easy to use without having to study the owners’ manual. 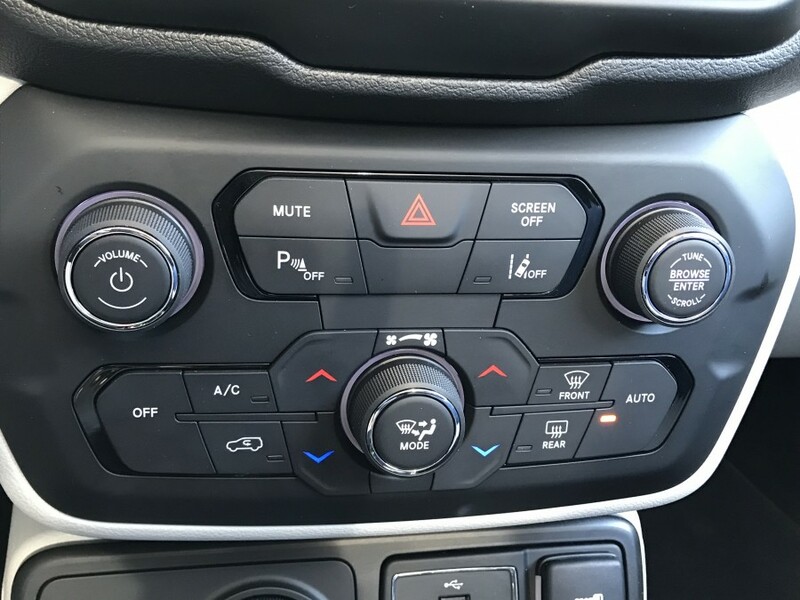 And Renegades’ 4WD system controls are clustered in a dash pod and are also easy to use and see. 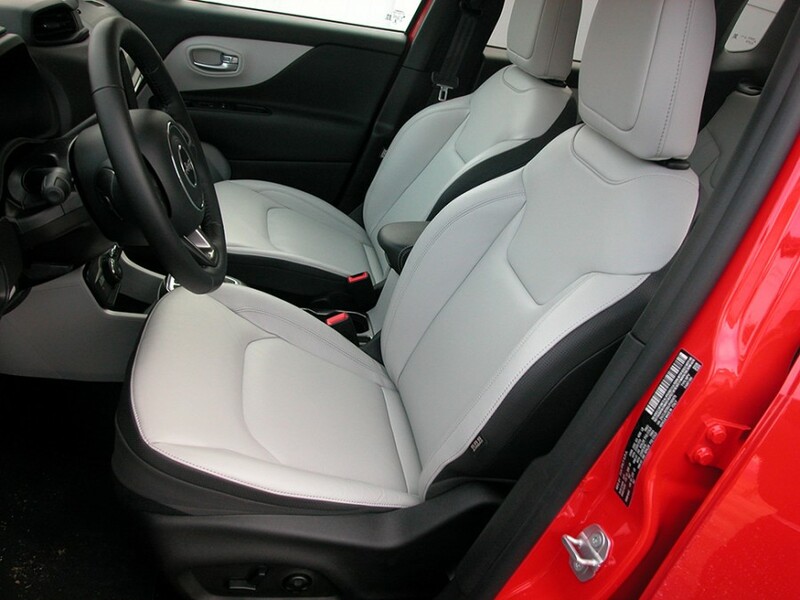 Front seats too are top-shelf, heavily padded and soft to ease long-distance trips. In the back seat, the 60/40 seats are also nicely padded and comfy with marginal legroom especially if the fronts are racked well rearward. But headroom is ample, even for 6-footers. 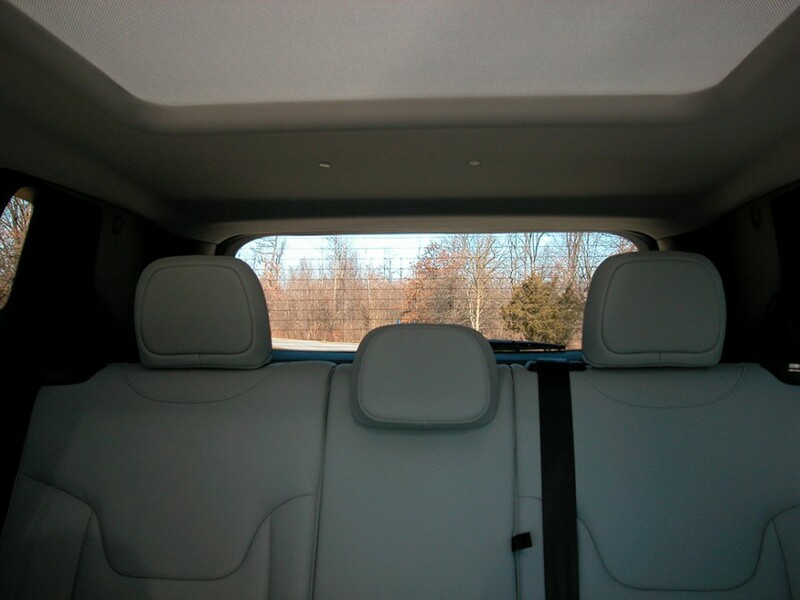 With the rear seats upright, there’s 18.5 cubic feet of cargo space. That translates into an area measuring 26 inches deep, 38.5 wide and 30 high. 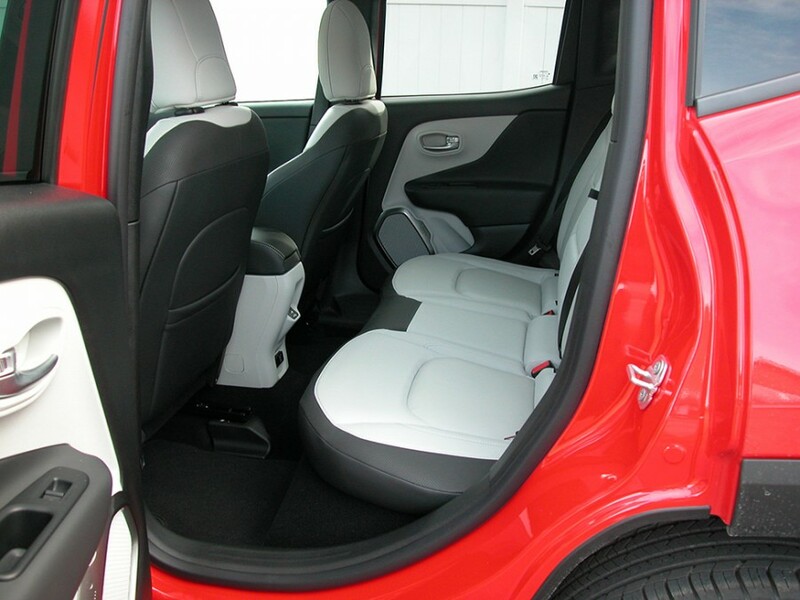 Flip the 40/20/40 seatbacks and space expands to 50.8 cubic feet for 60 inches of cargo loading depth. 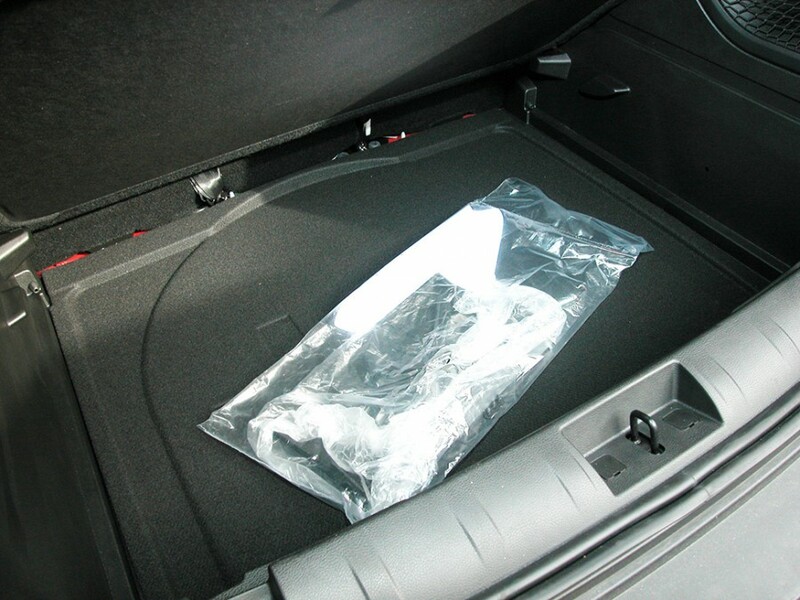 That can increase a bit by folding the front passenger seat-back to haul lengthy items. 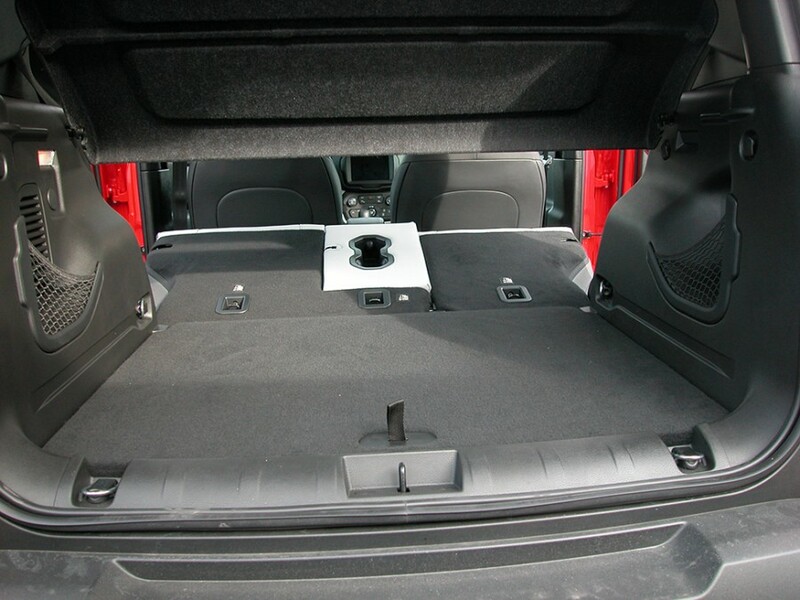 Cargo loading requires a mere 29-inch lift and there’s also a 6-inch deep, storage area beneath the height adjustable cargo floor. 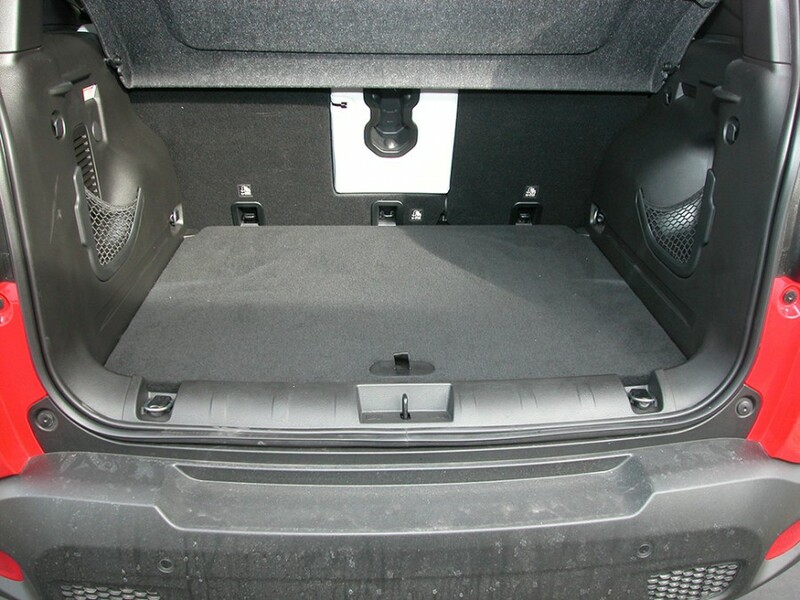 It covers the entire floor space, wherein a multitude of low profile items can be stowed there. Renegade can be had with a choice of two powerplants. There’s the new turbocharged 1.3-liter, 4-cylinder that puts out 177-hp and 210 lb/ft of torque. 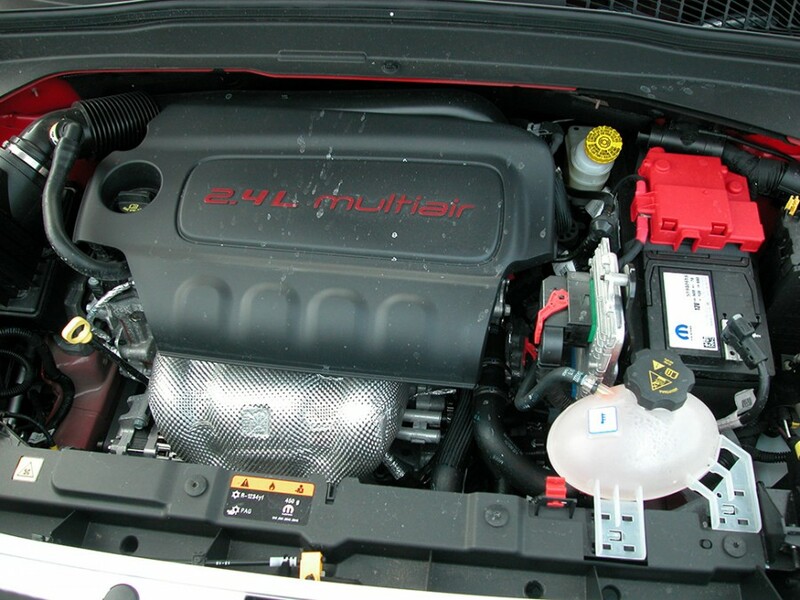 This replaced the former 1.4L, turbo inline-4 with 160-hp and 184 lb/ft of torque. 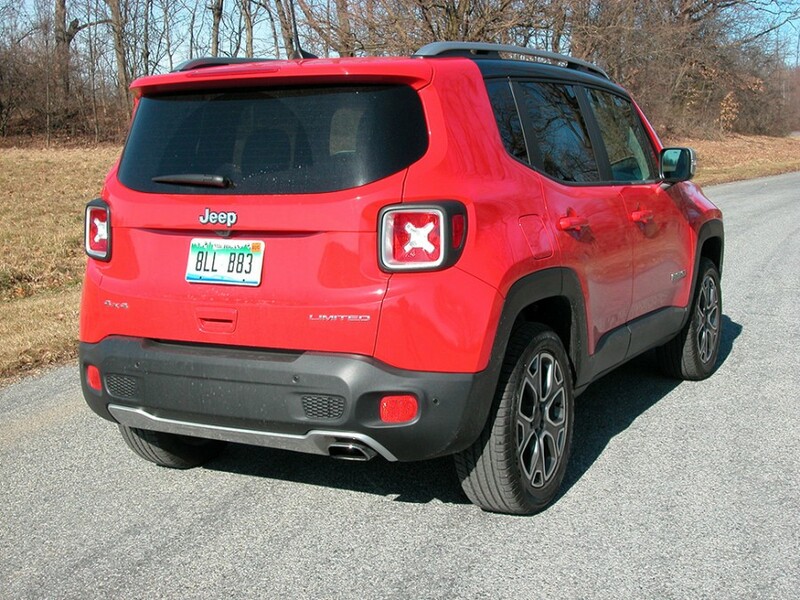 Then there’s the standard on Limited and Trailhawk versions, 2.4-liter, inline-4 that we tested. 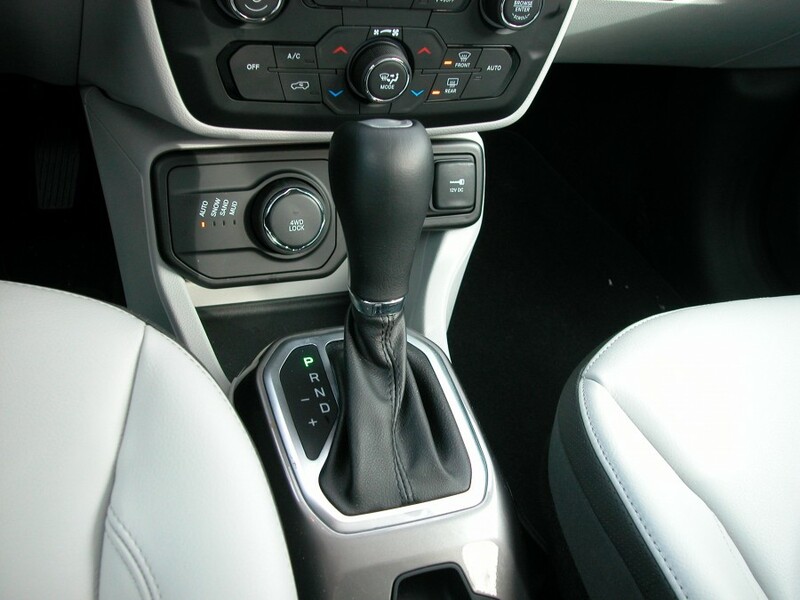 It produces 180-hp and 175 lb/ft of torque that earned EPA mileage estimates of 21 city 29-highway mpg. 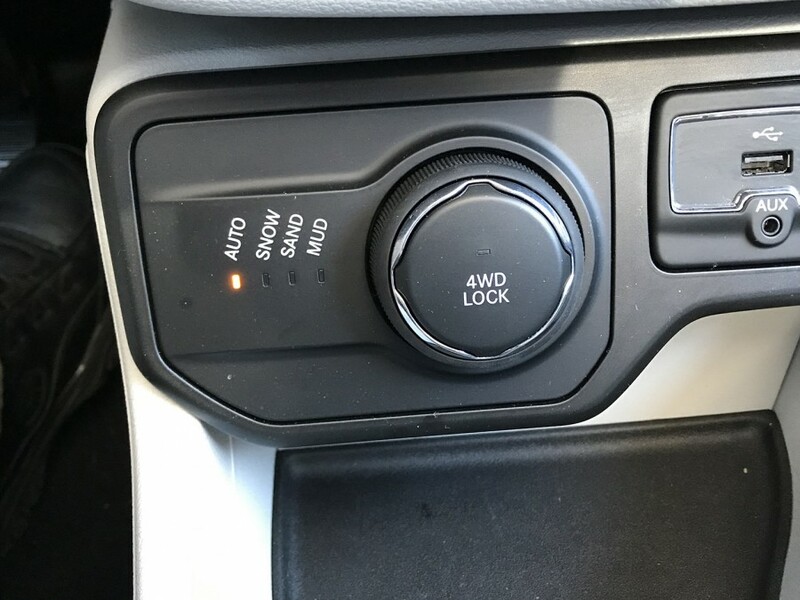 When coupled with the standard 9-speed automatic transmission, performance for this SUV that weighs 3,327 pounds, is exceptionally strong. It offers decent grunt from a standing stop and when passing. It does become a bit noisy though under hard acceleration. 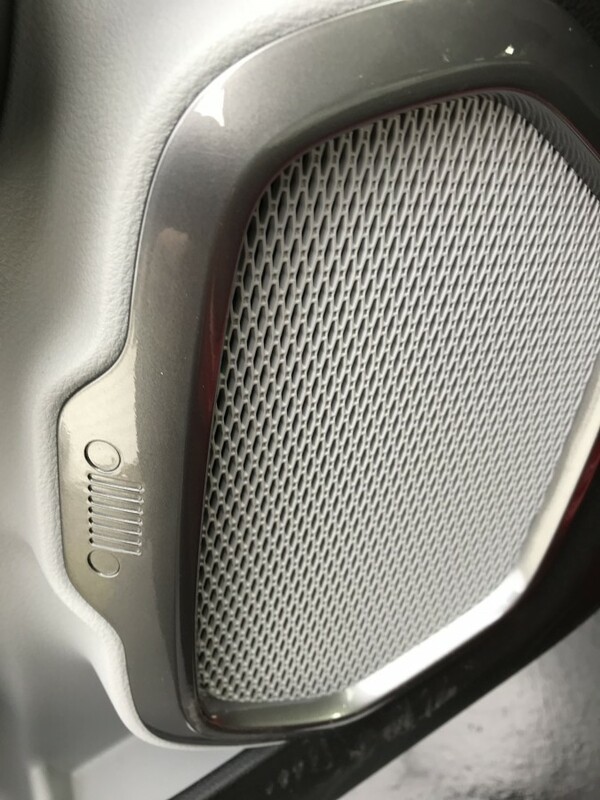 But if it bothers use, just turn up the volume on the 506-watt Beats audio system. Ride quality is similar to that of its compact competitors and is relatively smooth on Goodyear Eagle 18-inch tires. And because of its size, Renegade is nimble with a 35.3 foot turning diameter, making it easy to park and tremendously fun to drive. 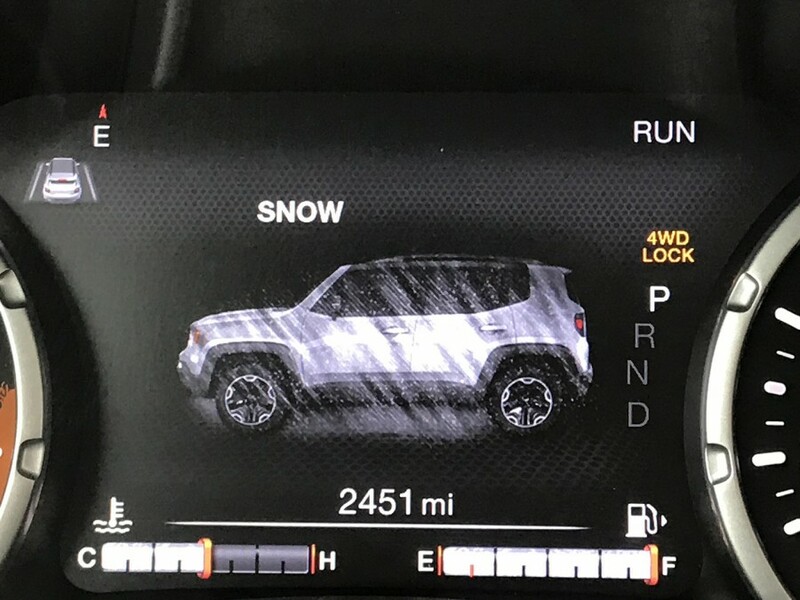 Renegade Limited’s base price of $27,445 comes with a long list of standard safety and convenience features including stability control, electronic roll mitigation, rain sensing wipers tire pressure monitoring, remote start, heated steering wheel, automatic headlamps, panoramic sunroof and more. 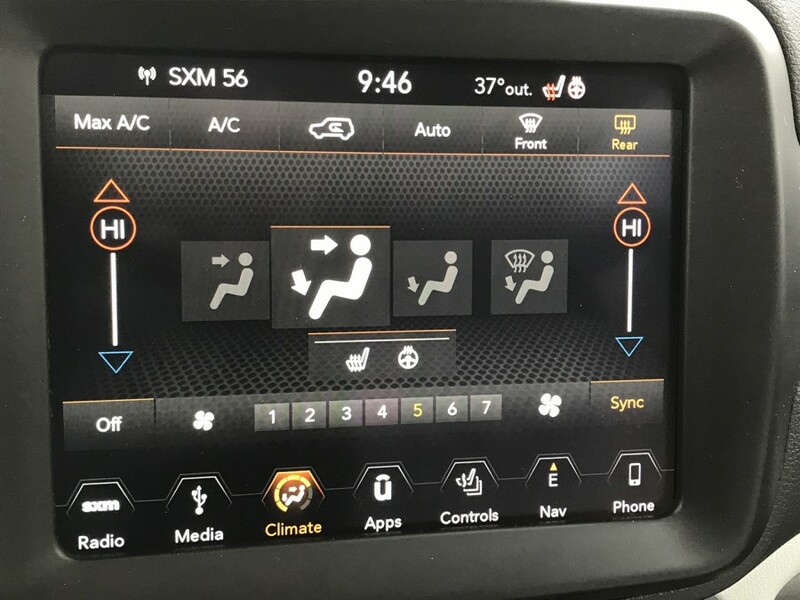 The options list is as follows: Advanced Technology Group ($995) with full-speed forward collision warning, lane departure warning, Park Sense rear park assist; Safety/Security Group ($895) with blind spot/cross path detection, high intensity headlamps, security alarm, tonneau cover; Uconnect infotainment system ($1,245) with 8.4-inch Nav group, 1-year satellite radio service, Sirius Traffic Plus/Travel Link and more, brought the bottom line to a reasonable $33,670 with delivery. 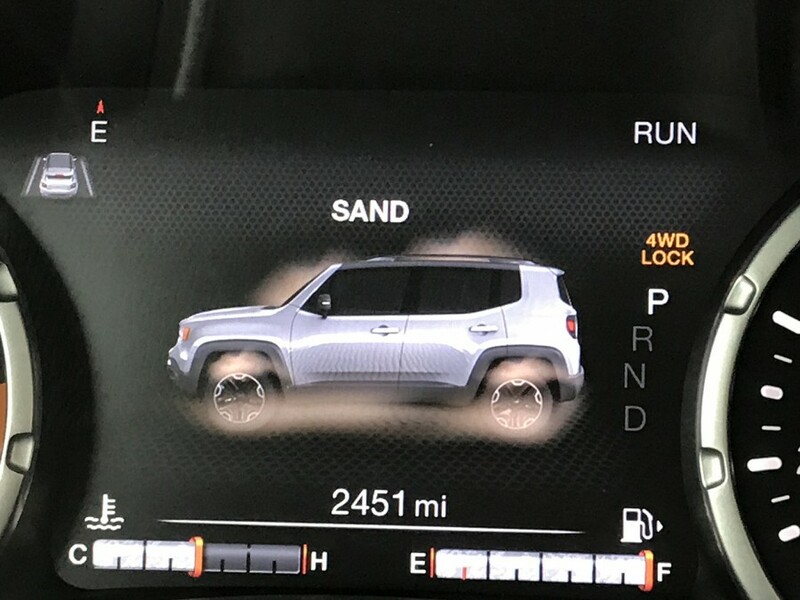 So far, Renegade received a four out of five-star government safety rating for frontal crash and three for rollover. Side crash was not tested so an overall score was not given. Renegade makes a dandy all-weather capable 4WD SUV for all age groups, including a commuter car, and its perfect for a college student. 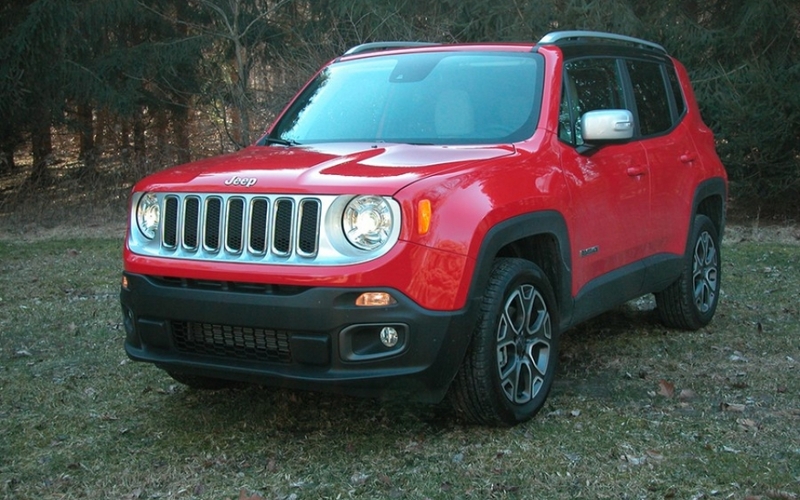 Best of all, Renegade has Jeep’s inherited ruggedness and renowned sure-footedness.